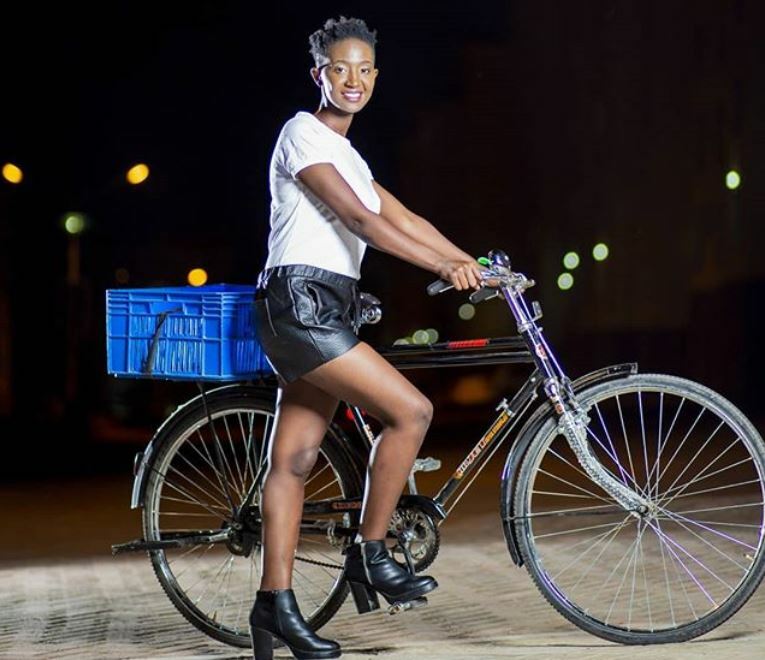 Eunice Wanjiru Njoki alias Mammito is one of the several women defying odds in a male-dominated comedy industry. She grew up in the largest urban slum in Africa, Kibera, where she learned to survive. 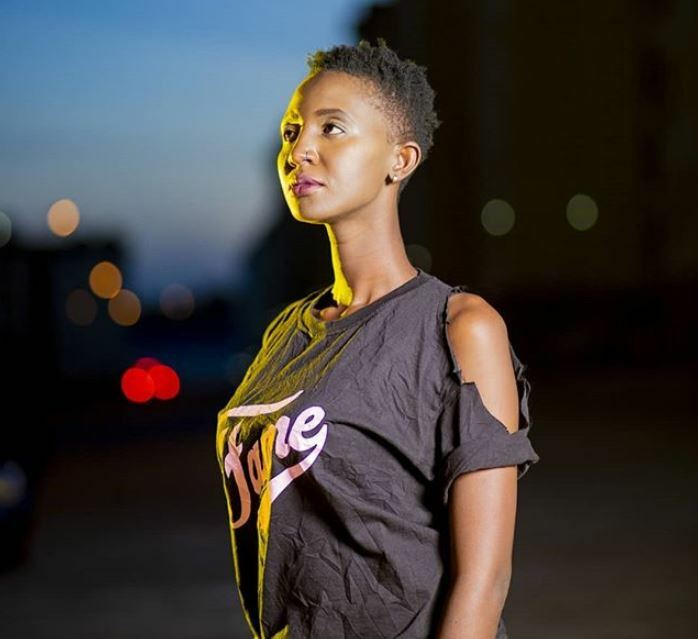 Mammito spoke to Buzz magazine about her growing up in the ghetto, alleged pregnancy by fellow comedian Butita, and her career. Where did your stage name come from? Mammito was a name that we called each other in my click of friends, so if you go to Kibera you will find a couple of other Mammitos. What was life like, growing up in the ghetto? Well, I just woke up every day a little bigger; with time my legs were longer and my shoes didn’t’ fit, (laughs sarcastically). I grew up in Kibera Line Saba, It’s all I knew, I didn’t have anything to compare it with at the time so I can’t say it was hard. The ghetto teaches you how to survive so it made it tough, but it also gives you a certain negative attitude. Juliani called it Mtaa mentality; when you grow up with scarcity, it gives you a narrow perspective on life that can sometimes hinder you from reaching your full potential. Initially, I didn’t understand how entrenched it was and it took me a long time to overcome. It’s like they say you can take someone out of the ghetto but you can’t take the ghetto out of them. I watched a lot of TV growing up, so it gave me a different perspective. My mother also taught me to believe in myself and challenged me to think big. However, I still had to learn how to be professional, control my feelings and to make long term career decisions. How many times did you audition before you got a slot on Churchill? Countless time, I can’t even remember how many; though they loved my jokes, they would tell me that I lacked courage and stage presence. This comedy thing was not working so my plan was to move to Thika and help my grandmother with her mtumba business. However, I decided to give it just one more try, and that is the day I got in. No matter how many times you have tried, just give it another try; most people give up just when they are about to get there. It looks simple and fun, is comedy that hard? You have no idea how many time I have cried in the loo after a horrible experience on stage. The first time I performed open mic on Churchill no one laughed, it’s like I was giving a speech, there was nothing but echo. There is even a time I forgot all my lines, I just looked blankly at the crowd and walked off stage, I was so embarrassed I just cried. There was a time I was performing and a certain lady who was in the audience just looked at me dismissively, pulled out her phone and went on like I wasn’t even there. That really broke me, nothing hurts like being ignored while you are up there giving your absolute best, I went to the toilet after that and cried like a baby. So why didn’t you quit? I actually have a degree in Community Development and Social Work from Mount Kenya University and I have thought of quitting comedy many times. There is just something that keeps pulling me back to the stage, it’s an addiction I tell you. Over time I have developed a thick skin; you can’t go far in life if you keep thinking about what you think people are thinking about you. Just get up there and focus on what you need to do, and people will figure themselves out with time. Do you feel comedy is now a respectable career? Some people still think that we are a bunch of morons just cracking jokes but we are actually very educated people. I may not be using my degree directly but going to school makes you more knowledgeable and expands your world view. It also helps you learn how to interact and socialise with people. Sometimes you don’t even know exactly how you are using that knowledge but it comes in handy. It’s a job like any other and more people are beginning to appreciate it. How do you feel as one of the most successful female comedians? Fame is a mystery, unless I do a survey I can’t really explain why people like me. My comedy is based on real life experiences so I guess people relate. It feels good to be one of the few female comedians; so many have given up and it’s great to be an inspiration to those who are behind me. You have a great sense of style, where do you get it from? My mom was a seamstress so in the ghetto I was always that hot mama. By the time I was starting comedy she had gotten an out of town job so I had to buy my own clothes. My outfits turned heads in the hood but on set they looked at me like I was an alien. With time however I came to understand how to dress for TV. Is it true that you were expecting Butita’s child? There was a time I posted a photo after lunch so my stomach was protruding, I guess that is where the rumours came from. Let me just put it clear that I always use protection, the ones that are studded with ribs, so there is no way I can be pregnant. I use the ones with banana or strawberry flavour because they give extra pleasure, keep me safe, and leave my house smelling very nice, (giggles and laughs). People will believe anything they read on blogs so I am not even shocked. Growing up in the ghetto I saw first-hand how early pregnancies messed up teenagers, so I never had a boyfriend until I was well over eighteen. Relationships are hard, if you start dating so early you just end up a very bitter woman because of all the heart aches you will get. If grown men are struggling to keep their relationships together then what business do you have dating a boy who barely understands himself? So what’s next for Mammito? I am going into English comedy so the world can hear this girl from Kibera, and we are establishing comedy clubs so grassroot comedians can also have opportunities. Every first Saturday of the month it goes down at the Blues club at Barclay’s plaza and we are hoping more venues will take this up. We need to build an industry for next generation; If my kids choose to be comedians I don’t want them to struggle like I did. As long as it’s free and without too many pop-up ads. One built on legally-registered land. What annoys you the most? Anything with meat in it. Any that moves me from point A to point B.